Photos for this entry are here. Today is Friday, November 23, 2012 – Thanksgiving Day in the U.S. since we are one day ahead here. Hopefully you have all enjoyed your Thanksgiving turkey with family and friends. We have big news. After much discussion and soul-searching, we have decided to put A Cappella on the market here in Australia. We have been out cruising for five years now (we departed our slip at the Oakland Yacht Club on A Cappella on 7/7/07) and have thoroughly enjoyed it (okay there were some moments that weren't perfect!) However, the Somali pirate situation has forced all cruisers to re-think the plans they may have had to circumnavigate. It is certainly possible still, but involves either shipping the boat through the Suez Canal to the Mediterranean (expensive) or sailing around Africa. Visiting Africa on A Cappella is somewhat tempting – we'd love to visit South Africa again – but it involves a long sail across the Indian Ocean (the Seychelles are off limits due to piracy – one must sail significantly south of there). Then, the winds and currents make it easiest to sail to Brazil from Cape Town, which means cruising in the Mediterranean might involve three Atlantic crossings - to Brazil, back to Europe, and then back to the Caribbean. That, too, was more than we want to take on. We then evaluated the market for sailboats in Australia and the U.S. We think we may have more luck here – it feels like the economy is better. We shall see. If we have no buyer here in a reasonable period of time, we may ship A Cappella back to the States. In the meantime, we are frantically preparing A Cappella for sale. More on that later. First, we'll give a brief description of what we've been up to during our four weeks in Australia. Upon arrival at the Customs Dock, following our “exciting” passage from New Caledonia, we spent four nights at the Rivergate Marina recuperating. While at Rivergate, we took the train into Brisbane and checked out the availability of a mooring spot off of the Botanic Gardens near downtown (no reservations are taken – they are on a first-come, first served basis). It appeared that there were a few openings so we took our chances on Monday and headed up the river hoping to stay there. We were in luck. There were two empty spaces and we grabbed one of them. We called the designated phone number and walked over to the office to pay for a week – very reasonable rates with nice facilities including showers and laundry and the most amazing downtown Brisbane location. There's also a convenient dinghy dock although we had been advised by prior cruisers to lock the dinghy. The center of the downtown shopping district, the Queen Street Mall, was a 10 minute walk away through streets of nice shops and restaurants. We thoroughly enjoyed our time there, sightseeing, trying various restaurants, seeing movies and riding the public transportation (buses, trains and catamaran ferries). We also started the process for obtaining our China visas – we plan to be there for a few weeks before returning to the San Francisco area in mid-January. Following the week in downtown Brisbane, it was time to move into a marina before our previously-planned trip up the coast to Port Douglas to view the total solar eclipse on November 14. We rented a car and spent three days driving the 1700+ kilometers to Cairns, which is about 60 kilometers south of Port Douglas. We had not been able to find a place to stay in Port Douglas, but we planned to drive to Port Douglas anyway to meet friends, Monet and Gary from the S.F. Bay Area who had come to Australia to vacation and view the eclipse. We had a great view from the beach near the apartment where Monet and Gary were staying, although there were some worries about cloud cover. 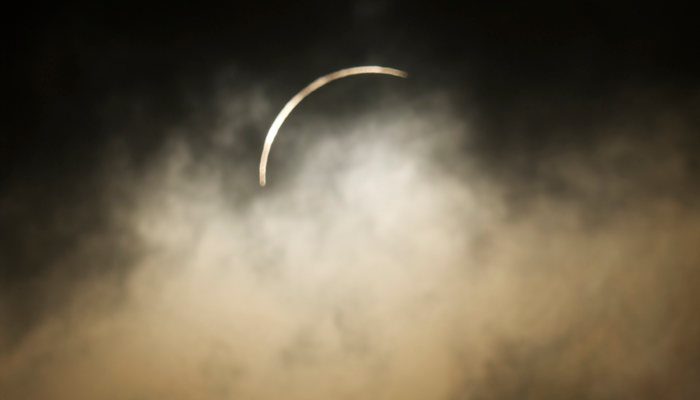 While there were some issues with clouds, we felt that we could see enough to truly experience the eclipse. The most amazing part was when the sky went dark for two minutes. Then, as soon as the moon moved slightly off of the sun, it was daylight again. We had seen a partial eclipse while in French Polynesia two years ago. This was a much more amazing experience because of the darkness. After the eclipse we took a crocodile cruise on the Daintree River. We were advised that crocodiles are difficult to see at the extremely high tide we experienced, which was on account of the new moon, related to the eclipse. We saw just one, an old guy sunning on the river bank, partially hidden by flora. We then headed south, taking more time for sightseeing on the way back down the coast. We included overnights in Townsville, Mackay, Bundaberg and Noosa Heads. A highlight was a trip to the Australia Zoo which we visited taking a bus trip from Noosa Heads. This is the famous zoo owned by Steve Irwin's family. It is an excellent zoo – very large in a rural area; they seem to take very good care of the animals. We also visited the wild animal emergency veterinary hospital that is located there – one of the most advanced in the world – very impressive. We're now back on A Cappella at the Moreton Bay Trailer Boat Club Marina in Manly, south of Brisbane. We have rented a storage locker so we can clear out A Cappella to put her in ship shape condition. Were having some work done on the interior wood and are doing lots of cleaning and touching up. We want her to be in perfect shape before we depart Brisbane for Sydney on December 18, just prior to our China trip. We plan to celebrate Thanksgiving this weekend with other cruisers at the home of former cruisers we met while crossing the Pacific in 2010. It should be a fun reunion. We look forward to seeing many of you when we return to the U.S. in mid-January. We have posted photos of our journey at our website which you can view at http://www.v42-acappella.org.